Founded in 2007, BRECKON landdesign [BLD] has earned a reputation for excellence in landscape architectural design that enhances quality of life for our clients and our community. We deliver solutions that are innovative, sensitive to local context, and sustainable--not only in terms of the environment, but relative to cost and maintenance impacts over time. BLD offers a full range of site design, land planning, and development services from conceptual design through project construction and implementation. With professional licenses in more than ten states, we have built a portfolio of successful projects that include residential and community planning, institutional, commercial and specialty design. 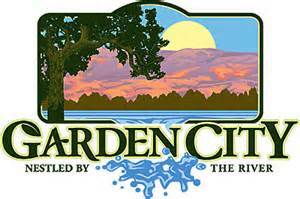 BRECKON landdesign is located in Garden City, Idaho, just a few minutes from downtown Boise. As one of the largest landscape architectural firms in Idaho, our team brings a diverse complement of skill sets to your project, along with a depth of staff that allows us to shift production resources as necessary to meet project demands and deadlines. Commitment - to our clients, to excellence in service, and to quality of the final product. Technical Competence - through experience gained on diverse projects, ongoing development of individual team members, and an innovative approach to design. Clear Communications - that are consistent and professional; and that represent client needs and goals while addressing technical, regulatory, and budget considerations. BRECKON landdesign is dedicated to improving quality of life for our clients and community through the design of natural and built environments by providing superior service, collaboration, and extraordinary solutions.